Students help refugee peers adjust to life, schools in the U.S. 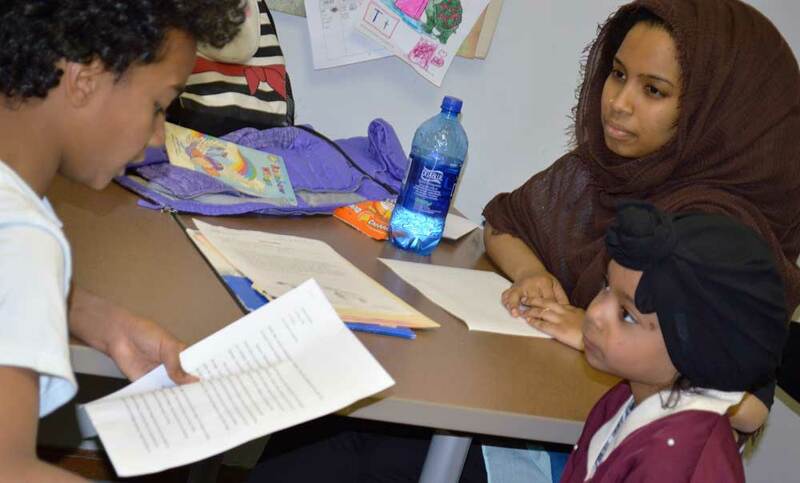 In one corner of a large, sunny room in the garden level of the Refugee Education Center, East Kentwood student Yasmin Alemayehu listened as siblings Zubeda Abdalla and her big brother, Abdalla, tried to amp up the passion in their voices. The Excel Charter Academy students had written speeches on being part of the refugee community that they would give at an upcoming Grand Rapids City Commission meeting. 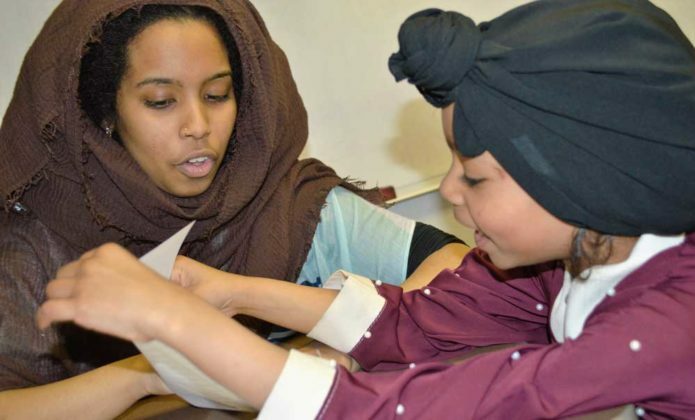 On the other side of the room, Lily Montague of East Grand Rapids High School offered hints as Challenger Elementary student Fatima Kromha used a pink crayon to fill in numbers on a worksheet. 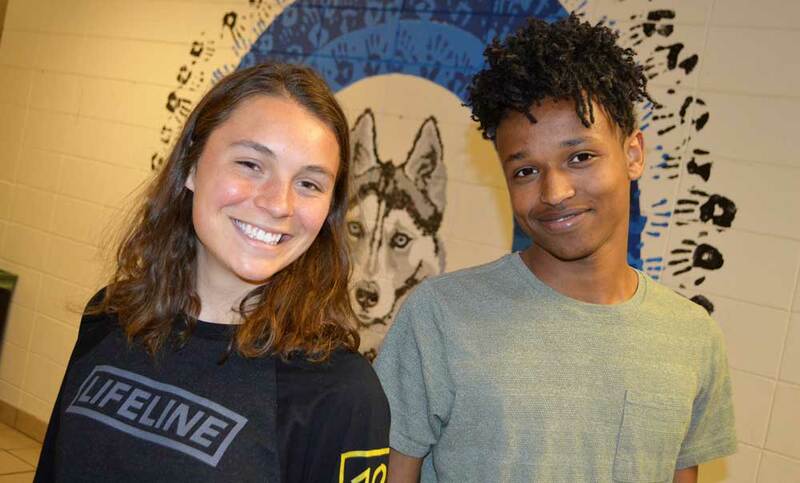 Students from a handful of area high schools are making an impact at two West Michigan organizations tasked with helping refugee students and their families succeed: the Refugee Education Center in Kentwood; and the Learning Café, which operates out of the Cathedral of St. Andrew in downtown Grand Rapids. 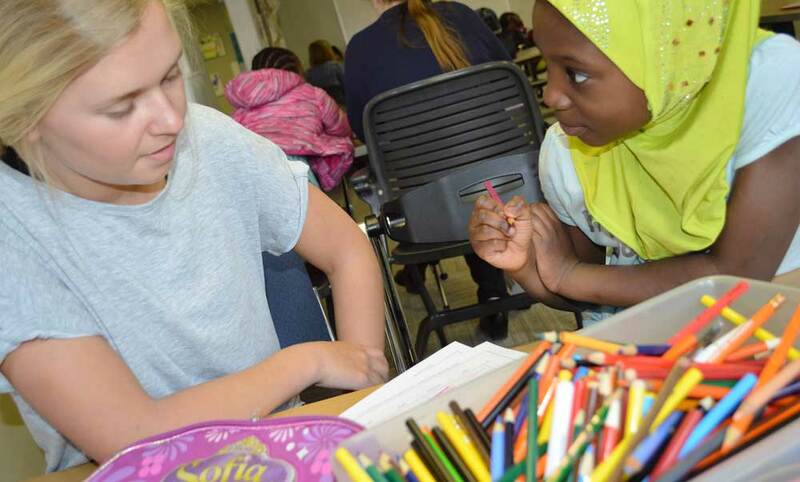 REC coordinator Mimi Workman said more than 160 volunteers logged 7,500 hours there last year, serving 1,012 refugee students and their families — the agency’s busiest year yet. Workman estimates they reach about 10 percent of the area’s refugee population that would qualify to benefit. Besides tutoring, the Kentwood center supports families in other aspects of education including with enrollment, conferences, social and emotional support in navigating the U.S. education system, and working with schools and businesses on professional development regarding the refugee population. 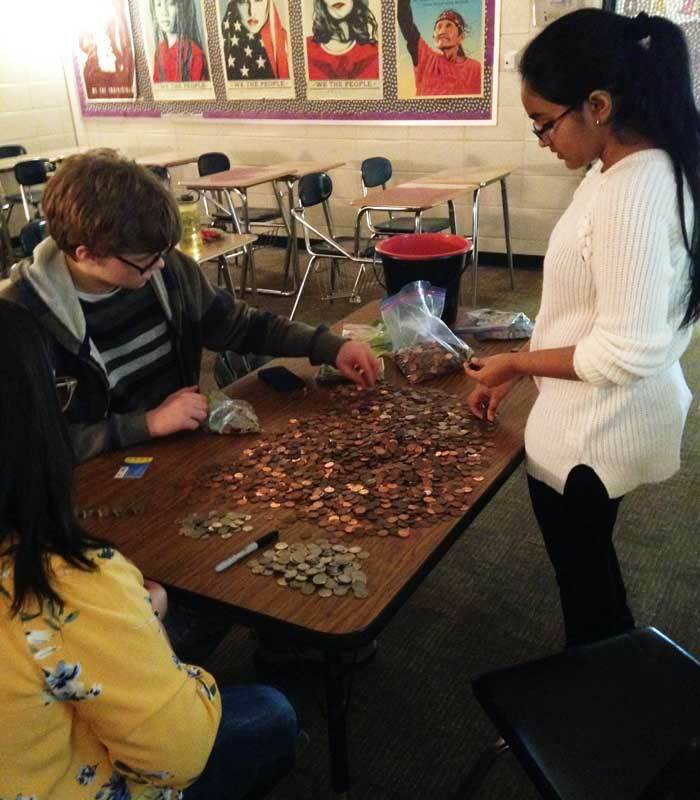 Forest Hills Northern senior Zoe Reep also has volunteered at the center, and last year she organized a coin war at her school that raised $2,000 for its programs. 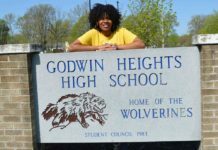 She recently spearheaded a challenge among Forest Hills Northern, Central and Eastern highs, East Grand Rapids and Grand Rapids Christian highs that raised $4,841. 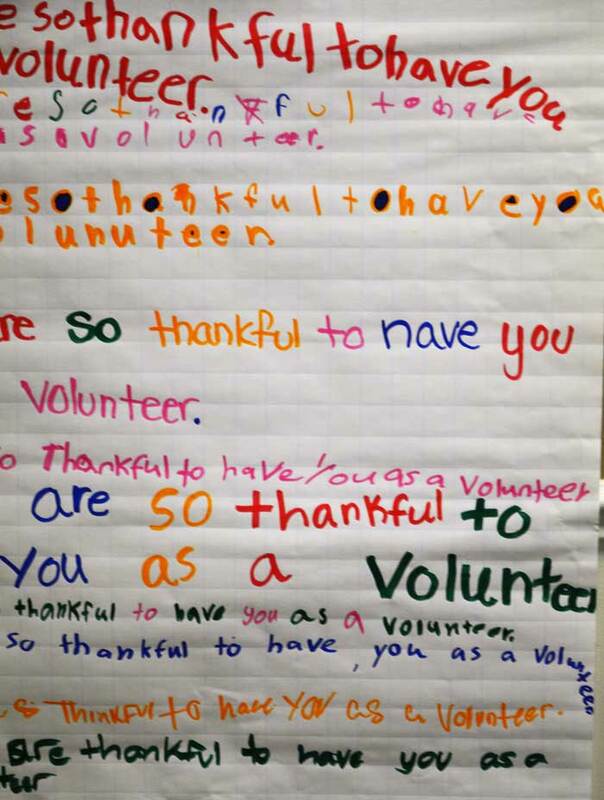 An even more long-term effect: The fundraiser has raised awareness in her school about volunteering at the center. At the downtown Grand Rapids Learning Café, students from East Kentwood, East Grand Rapids, Catholic Central and who are home-schooled also volunteer. 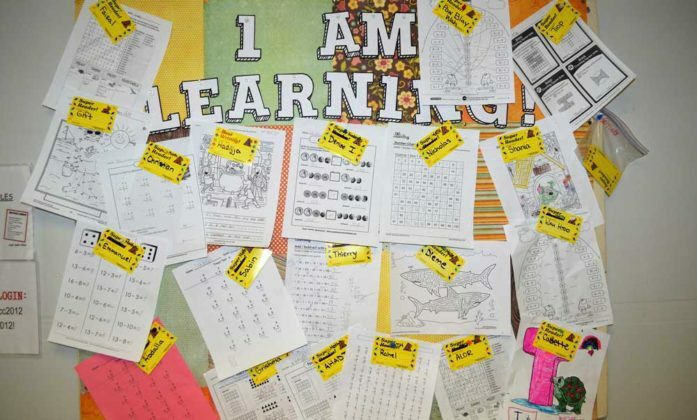 Lisa McManus, who heads the Learning Café tutoring program, said isolation from English speakers is a barrier to learning not only English, but also to learning American culture and the social skills needed to integrate. 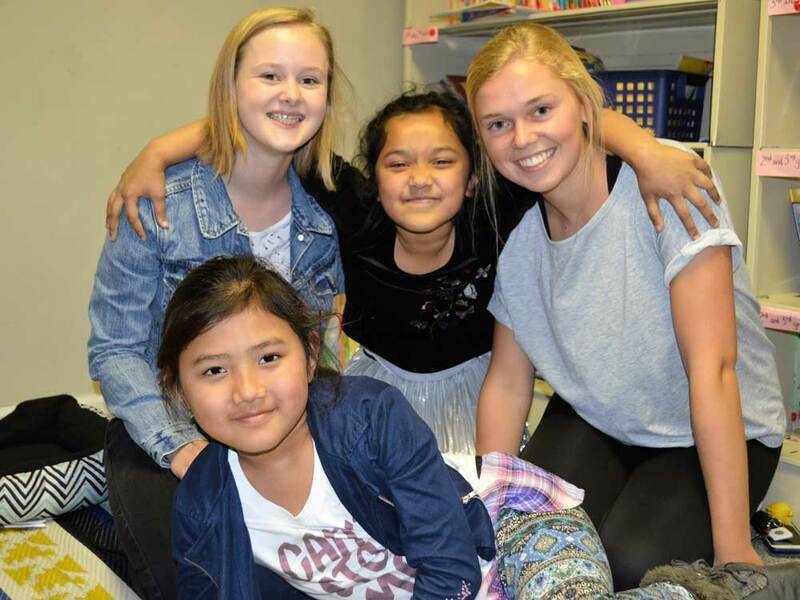 “Our mission is to supplement the work of agencies and schools by providing refugee kids and their families with opportunities to build relationships with English-speaking families,” McManus said. Many refugees who are helped by resources such as the REC and the Learning Café return to help others. Abdi Ahmed left Somalia at age 5 and lived for a time in Ethiopia and Kenya, before he and his four siblings came to the U.S. and joined the Forest Hills Public Schools district in 2014. They spoke next to no English, he recalled, and American culture was “very different from any part of East Africa we had come from.” They met other refugees at the Refugee Education Center, and he has volunteered there, as well as at Bethany Christian Services.